At Bensons Locksmiths we understand local needs, because we are local ourselves. Our workshop in Alexandria has been proudly servicing the Sydney metropolitan area with mobile locksmith services for businesses and residents since 1988. 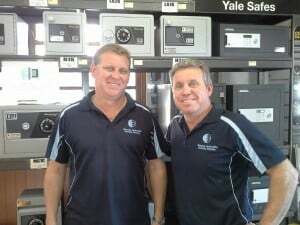 Our business is family-owned and as you can tell by our history, we are committed to serving the needs of Sydneysiders and will be maintaining our shopfront for many years to come. That means that you can have peace of mind that if you need to return a faulty product, get advice about security solutions, or get something repaired under warranty, we will be there to help. We are experts in the field of commercial, residential and automotive security products and services so whatever your needs are, we’ve got you covered. At Bensons Locksmiths we operate at the next level. We are not just here for emergencies (although we do that too), but to offer durable and ongoing security solutions. We manufacture and sell a range of products that can help you to increase the level of security in your home or business, including safes, access control systems, deadlocks and car keys. Our automotive locksmiths also stand ready to assist if you need a transponder key replaced, or if you need new car remotes. Call us on 02 9516 4688 today.